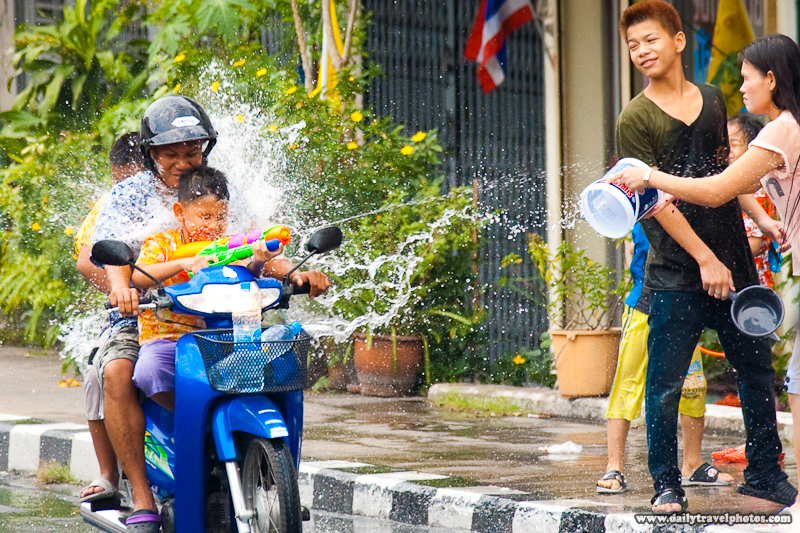 A direct hit lands on a motorcycling Dad and his unprotected kids during Songkran water fights. Nobody is spared, even a driver who is temporarily blinded and can potentially lose control of his vehicle with two helmet-less children. 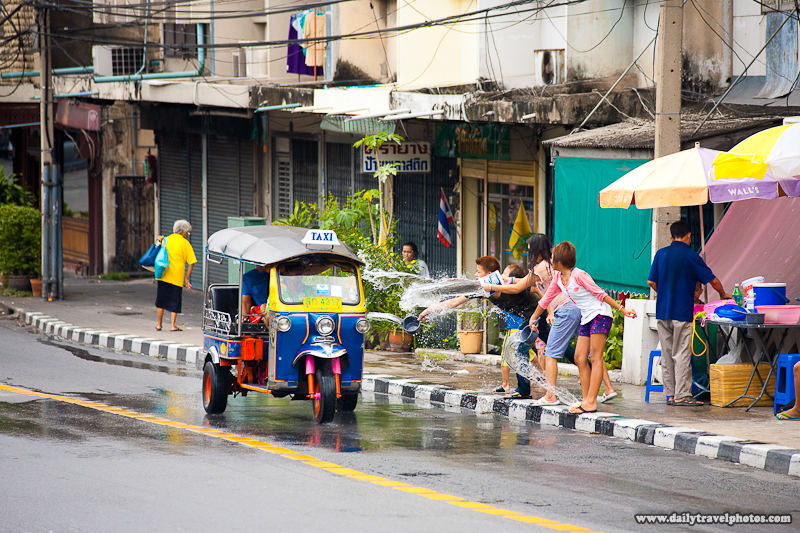 A foreign passenger in a tuk-tuk gets the bucket treatment during Songkran water fights. To protect my dSLR, my initial photo-taking was performed on the periphery of the main tourist area of Kao San Road. The fringe areas see far less water fighting than Kao San Road which is one of the three main destinations for all of Bangkok to gather. Realistically speaking, I'd have to have an underwater casing if I wanted to expose my camera on or near Kao San Road, which was literally wall-to-wall people splashing water around. 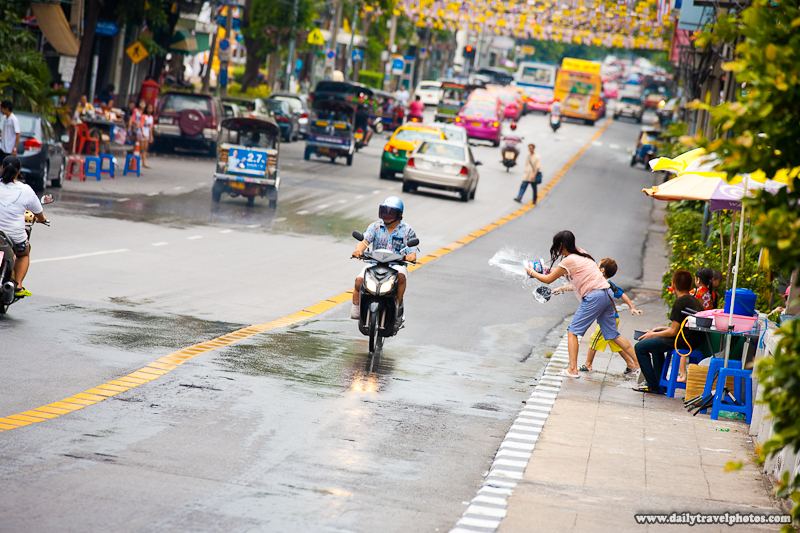 A motorcyclist is soon to get an imminent dousing during Songkran water festival. A public bus falls victim to a Songkran splashing.